Ever noticed the word ‘thickener’ in the ingredients list of a product? Or maybe “modified food starch”? Thickeners can be found in almost every processed food on the market – from icecream to sauces – but are they a safe additive? Recently I have had a few questions about thickeners from The Food Werewolf followers, so rather than focus on one particular food additive for this week, instead I will cover the additives that are generally classified as “Thickeners, Stabilizers or Emulsifiers”. WHAT ARE THICKENERS, STABILISERS, EMULSIFIERS? Thickeners are generally derived from proteins or starches. Often named ‘resistant starches’ because have mostly been modified so the molecules are strongly bonded together and harder to break down. Because of their ability to not break down easily and keep ingredients from separating, these additives are very appealing for the makers of almost every processed food on the market. They help to maintain the structure of foods, and make them more appealing. For example, the ingredients don’t separate in icecream or sauces and cakes and breads don’t crumble and fall apart. 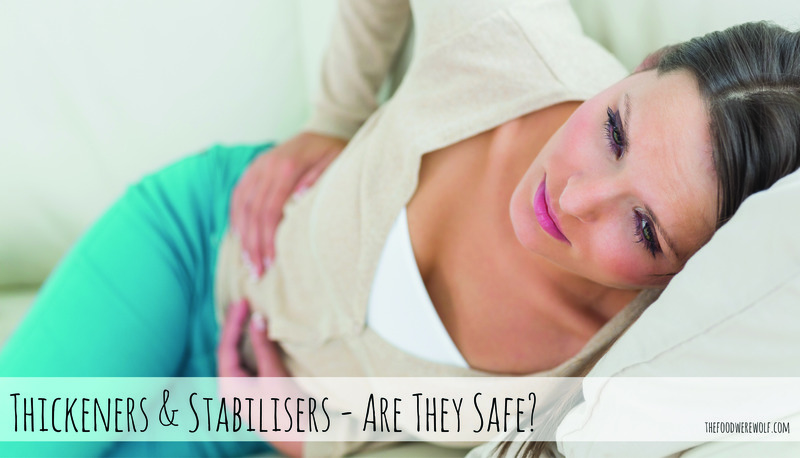 So if thickeners and stabilizers are found in just about every processed food on the market, how do we know if they’re safe to eat or not? As always, this depends on the individual, but there are certainly some best to avoid, such as 431, 433, 435 and 436. Others, such as carrageenan (407) are listed as ‘questionable’, because they can be known to cause gastrointestinal problems. When the molecules are so hard to break down and digest, they may end up only partially absorbed in the large intestine. The undigested remains then ferment, causing symptoms such as stomach pains, bloating and gas. Sound familiar? Yep – this is similar to what happens in your gut when any food intolerance rears it’s ugly head. For example, undigested gluten in your gut ferments, causing problems of a similar nature. You might be asking “why are these additives in foods if they’re not safe”? The food authorities of most countries conduct tests to ultimately deem these additives to be safe to consume, however often the quantities and ages of those tested do not always reflect the real world. More and more additives are being consumed on a daily basis and of course children can be affected more than adults. Think back to how many processed foods are eaten by your family in one day and you can easily see how additive consumption can add up quickly. The bottom line is, you know better than anyone what feels ok and what doesn’t agree with you or your children. If thickeners are causing problems, then it’s best to avoid these additives. 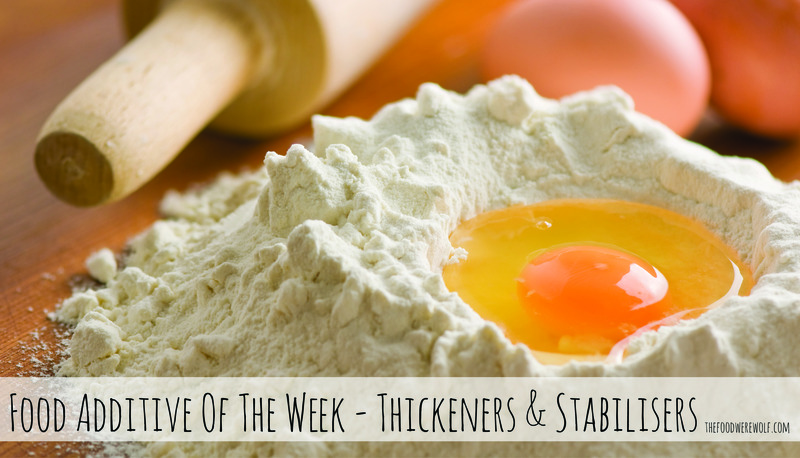 HOW DO YOU AVOID THICKENERS? This is a little bit of a hard one, because as mentioned before, they’re in just about everything… Well, everything processed and packaged at least! So the easy solution is of course to stick with natural whole foods or make your own. But that’s not always possible or realistic, especially with kids, so the next best option is to go for foods that have the least amount of thickeners or the most natural. Natural thickeners include guar gum, xanthan gum or agar agar. Some people find they are still reactive to these, so it is best to try different options and see what works best for you. Often certified organic products will have more natural types of thickeners, emulsifiers, and stabilizers. 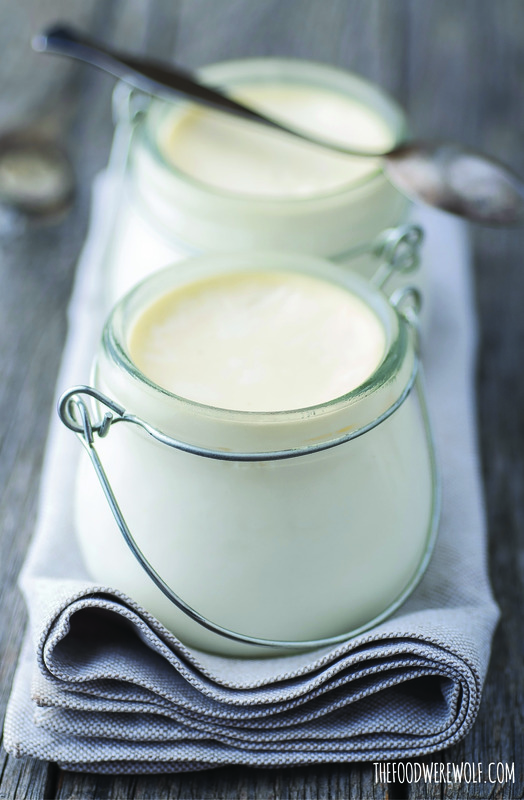 Organic cream is particularly delicious as it is usually very thick and creamy! There are also non-organic pure creams and yoghurts that don’t contain thickeners – check the labels and find the one that is available in your area. There is always difficulty in determining which additive is the cause when there are so many listed in the ingredients. It’s always best to avoid additives as much as possible, however making the change can be hard. 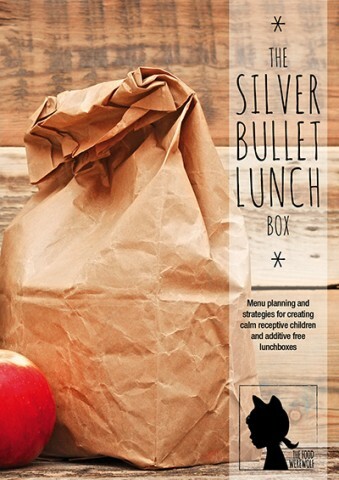 The Food Werewolf is dedicated to helping you make this change and stick to a happy additive-free lifestyle. Need more help? Head to the search bar at the top of this page and type in the word “change” for more support. Do you have a problem with thickeners, emulsifiers and stabilizers? Sharing your story can help others, so please comment below about your experience.